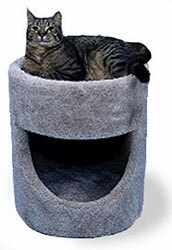 A cat condo is much more than just a simple pet bed. They are comfy enclosed sleeping spaces which cats really enjoy as they feel warm, snug and safe. Many kitty condos feature two, three or sometimes more bed spaces which is lovely as sibling kitties can share the same piece of cat furniture while still having their own space. Just like sharing an apartment! Many even incorporate other features such as scratching posts or a perching platform to relax on. 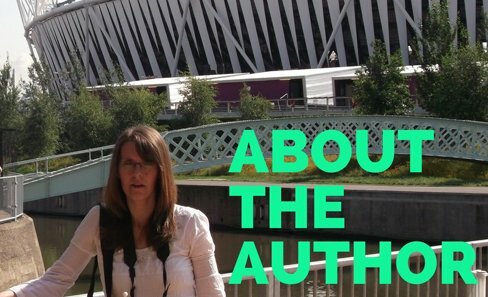 There are so many to choose from that I thought I would pick out a few that I really liked and look at their different features and benefits. So take a look at my quick kitty condo guide and see if any would suit your own feline friend! 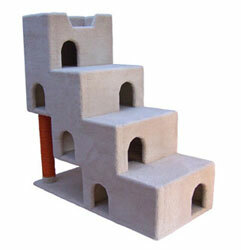 If your cat loves climbing into boxes or enjoys being up high, then they will love this multi-purpose kitty condo. Once inside, they can climb from one floor to the other until they get to the very top, where they can relax on the perching shelf to enjoy the view! Not only that, but there is a handy scratching post as well. This fantastic condo comes in a range of colours so you will be able to choose one that will suit your home as well as your cat. Do you find that many of the cat beds and condos you can buy in your local store just aren't big enough for your own feline friend? Well, you can get condo's like this one which is extra large for the bigger breed of kitty. Maybe your cat likes to have a lot of space to move around and stretch out in. Or perhaps you have a large breed such as a Maine Coone, Bengal, or simply a kitty who is a bit ... how shall we say ... big boned? Then a large condo like this one could be the perfect choice for you! Wow! I think this has to be the ultimate in kitty condos! It's like a whole apartment block for your kitties. Four whole floors of fun with scratching posts and a cat bed space up on the roof as well! This would be great if you have a multi-cat household. Can you just imagine a whole load of kittens sharing and playing in a kitty adventure playground like this one? So those are my favourite choices - what do you think? I love cat condos because I think they are so much fun. If you have a kitty who loves their condo, why not email me a picture of them enjoying it and you will be able to see them here on Our-Happy-Cat.com!